Hailing from the 808 state of Hawai’i, Iration now calls Santa Barbara, California home. The Big Island natives just recently celebrated their 10th anniversary as a touring band, while simultaneously promoting their self-titled album release. The 2018 album has already spawned single releases of “Danger” featuring J Boog and Tyrone’s Jacket, “Fly With Me”, “Broken Promises” featuring Slightly Stoopid. Now, the band has released a brand new music video for “Press Play”, a song that is very radio friendly. The band released their latest video on YouTube with one simple message. 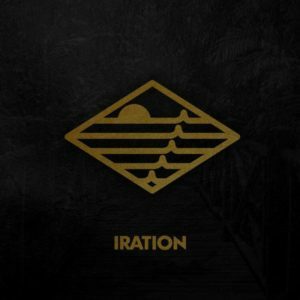 Iration’s new music releases and videos to supplement their sound has kept their ever-growing fan base engaged throughout their entire career. The spotlight continues to shine bright on the band Iration. For more information on Iration, their new music video, as we all upcoming shows, follow the links below.